If you have ever pondered the prospect of investing in precious metals, specifically gold bars, there is a multitude of information you need to know before spending any money. The wide array of different bar sizes makes it harder for the investor to know exactly what they want. In addition to the variety of different bar sizes out there, there are a number of different companies that produce them. Even though most gold bars look like every other gold bar, the brand name behind them matters to a lot of investors. There are gold bullion bars available for investors of any size, age, or experience level. The purpose of this article is to explain and walk you through the different sizes of bars out there on the market as well as give you some insight as to who is producing them. 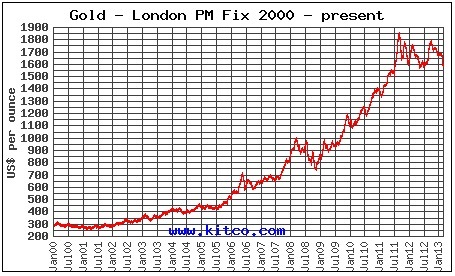 The smallest gold bars on the market are weighed by the gram. These small bars themselves can be both small and large. This is so because they come in sizes as small as 1 gram, which is smaller than a piece of gum, to as large as 100 grams and 1 kilogram which are both significantly larger. The smallest gram sized bars are typically reserved for those who are giving gold as a gift or for people who are just beginning to dip their toes in the precious metals investing world. Despite popular uses for given bars, there is no set, predestined purpose for gold; regardless of size. As gram gold bars become larger, like the 10, 20, and 100 gram varieties, it transforms into a much more serious investment. These bars are still comparatively small to other bullion being sold, but they are significantly larger than 1 and 2.5 gram gold bars. 1 kilogram bars are actually quite massive, and are typically reserved for the most experienced, serious investors with the proper amount of capital to make such a large investment. Now that we have ran through and talked about the different sizes of gram sized gold bars, it is now time to talk about ounce varieties. Much like gram bars, ounce sized bars range from being as small as 1 ounce to as large as 400 ounces. 1 and 10 ounce bars are still fairly small and easy to handle and store, but as bars start getting as large as 400 ounces, they become much more of a burden to store and transport because of their size. You can find just about any sized bar through online dealers without much effort at all. The boom in e-commerce has brought with it a slew of online precious metals dealers who are in constant competition with one another. This constant competition means lower prices for you, the consumer. Another benefit of buying gold bars online is that it doesn’t matter where you live, because an endless supply of precious metals are available to be purchased in the comfort of your own home. Like was illustrated earlier in this article, there are a number of different companies and organizations who produce gold bars. Just like companies and brands in any other industry, brand name means a whole lot to certain people. Just like there are folks out there who only buy clothes from a certain company or only one brand of cars, there are also people who will only buy one, specific brand of gold bar. From the outside looking in it makes no sense, but it’s all about personal preference. You can do your own investigating to determine if you have any sort of special affinity for a certain brand of gold bars. Not every producer makes all sizes of gold bars, so you will have to pick and choose producers as the size of bar you wish to acquire changes. If you are purchasing your metals online, you will probably want to know how your investment will be protected when it is shipped. More often than not, nearly every size of gram bar and smaller ounce sized bars will come in a protective plastic case coupled with what is called assay. Assay is no more than a certification that assures you that the bar that is in the case is actually made of gold. Since it is protected within the case, and since gold is such a soft metal, it is not recommended that you take the bar out and handle it. As bars become as large as 10 ounces and 1 kilogram, you will see that they rarely come with a case or assay. These bars are simply too large to encase in plastic and most times, assay comes in the form of a certification or serial number stamped into the bar itself. Do not worry though, because online metal dealers will do their best job at ensuring the safety of your bar from their hands to yours.